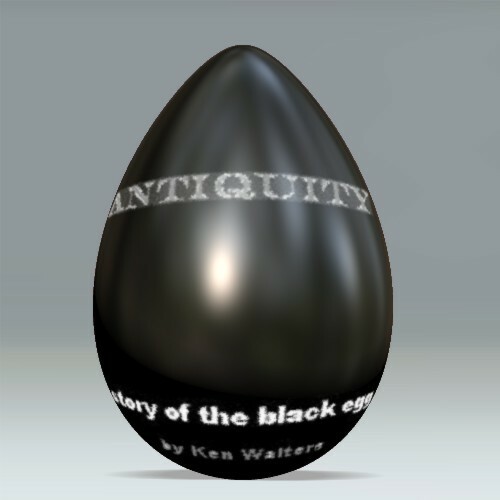 I am in the process of completing Antiquity: story of the black egg, a novel (which I will write about in more detail below.) A major part of my beginning to blog with WordPress was to begin to build a reader base that might be helpful as I market that book. I sincerely request comments for this post, and not simple “I like the idea” content, but critical reaction to what you read with suggestions. The final five chapters were lost a few weeks ago during a hard drive mishap. I had extended outlines to resurrect them and to finish the first draft, but I lack time to write due to two jobs, so the process is slow. Since the novel is so near completion, I feel it is time to begin marketing it to agents and publishers. The novel is primarily a young adult (12-17) science fiction novel, with a secondary audience of general science fiction readers. It will be 21 chapters and about 80,000 words. Identity theft has just become a life style. On a routine chore for his mother, 14-year-old Seth Miller sees a hole open in the air, a man exit the hole, and his own life change forever. The man, not so politely, shoves Seth through the portal and almost 300 years into the future. Seth learns that the man, in quest for an unknown power, “the black egg,” assumed Seth’s identity for a few moments with the egg, and then lived out the life perfectly to protect the historic timeline. Seth discovers similar identity theft is common in his new home, Antiquity. He meets exact, living replicas of Amelia Earhart, Mark Twain, and Jim Thorpe, among others, while having to train a new set of foster parents and to use his free time play in a cat-and-mouse thriller for that black egg. Seth Miller is a 14-year-old in 2012 who is fairly typical of entering adolescence. Bored, one summer staying at home with his single mother while his best friends are visiting Australia, he goes with her to the grocery. While performing a simple errand, he approaches his mom’s car in the parking lot. A “window” of wavy air appears, from which a man, Dr. Titus Lyndale, emerges and pushes him back through. 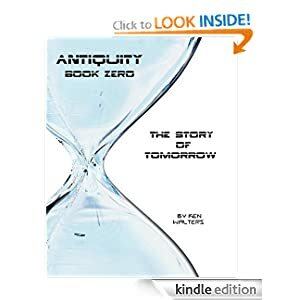 Seth finds himself in the year 2288 in a scientific lab at a place called “Antiquity.” He soon learns that cloning technology developed into complete replicating of individuals. The man who sent him to the future assumed his exact identity in 2012. Evidently he did so successfully, since there was no change in the historic time line, but no one in 2288, whom Seth is aware of, knows why Lyndale did it. Seth, however, is stuck there, unable to go back since it would change history. Not long after his entry into 2288, he panics and makes an escape into the Antiquity world. He meets a man named Sam who explains Antiquity. With the ability to move through time and to replicate individuals, historians created the colony. They have used time transportation to obtain DNA and brain scans from historic people to replicate them into mini-societies of the past’s great civilizations, 1000 individuals per civilization. Not all of the people are famous. The historians attend to these mini-societies caringly, but are guilty of theft to create them. Lyndale was part of the original conception of the idea, but he became a rogue when the government would not allow criminals to be replicated. He felt to understand a civilization, all aspects should be studied. For almost 20 years, he remained hidden until he, it would seem, went to 2012. All of this knowledge has been a drain on Seth, who slowly becomes reconciled to his continued presence in 2288, though he deeply misses his mom and sister. Movement is made toward his foster care or adoption. His resentment of Lyndale is great. The friendly colonel in charge of the lab he had been delivered to takes him in, let’s Seth know the Sam is Samuel Clemens, and introduces Seth to the colonel’s wife, Amelia Earhart. As the next few chapters ensue, Lyndale’s purpose is revealed and his obsession with an artifact called “the black egg.” It is also discovered the Lyndale sent a replica of himself to 2012, and the real Lyndale still resides in 2288. The novel becomes a cat-and-mouse search of Lyndale and a story of Seth’s new presence in the century. I am not going to give more here, as you likely will already say this is too complicated a plot for the young adult audience, but I trust that reader. The story is carefully rendered and is not confusing, though, honestly, it is more complex that I have yet explained. Again, I am interested in any comments. I hope you trust that I can make the story work. I particularly want comments about the marketing aspect. I do intend to post the first five chapters here in weeks to come.